Race Directors from short to the full marathon distances can benefit from the Race Innovation race day solutions. Our patented PaceTat™ Tattoo line is made to reinforce organizations brands to help runners reach their race pace finish time goals. It’s functional for athletes and a super race day activation item for organizations to looking to build brand awareness. PaceTats have been called “skinvertising” or “running billboards” by sponsors. As many participants will attest The “Keeper” post event is the Race Bib for their scrapbook, garage wall, brag board, or Facebook postings. We produce standard, die cut, and fully personalized Race Bibs with mantras, names, and color coordination by starting waves. Wrist Band offerings in all styles are available for events,. 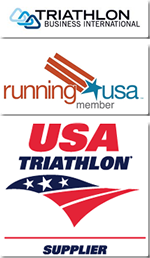 In 2014, we are now offering a fully integrated all in one Race Bib and associated Wristbands to streamline packet pick up. 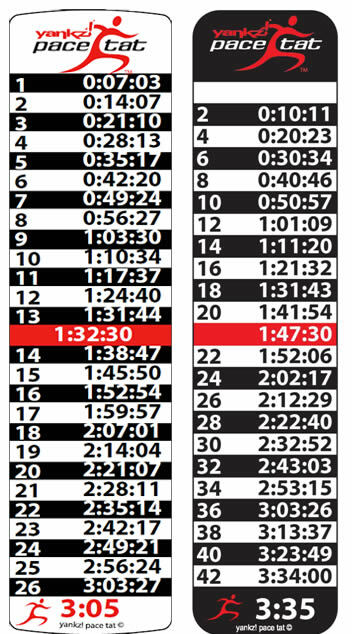 Do you want your runner to know how they are pacing at any given time in their race? The PaceTat™ Running Tattoo is an excellent way for your athlete to make sure that they are on track with their personal goals throughout the race simply by looking down at their forearm at each mile marker. 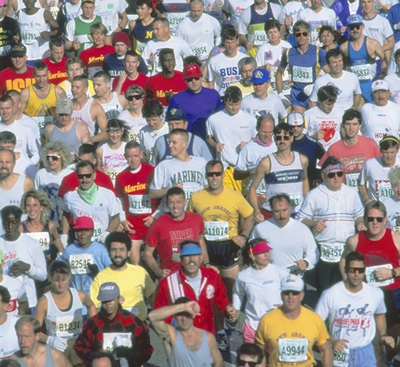 PaceTats provide a race participant with the comfort of knowing that they are on pace. PaceTats can be fully customized with a race or sponsors logo. In addition PaceTats can be produced with what we call “shape branding” to reflect a certain branding position of an organization with in pacing. Being fun and functional, PaceTat™ also rides the popular wave of tattoos in the U.S.
We can also print SporTats Pacing Tattoos down to what we call a level of one printing for your events by personalizing race course information, elevation, aid stations, runners name, runners personal goal time & sponsor logos. This is all personalized for each racer to be picked up at packet pickup with their Race Bib! 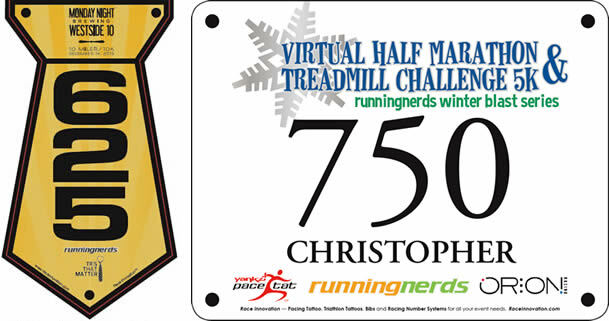 Our Personalized Race Bibs are designed to identify the athlete to the Race Official, Race Director and to be taken home and be put on the athlete’s ‘brag wall’. Our Race Bibs come in whatever type is best for your race whether it be the Standard Race Bib that the athlete pins on their jersey or race belt or Spibelt. We also provide Perforated Tear Off Racing Bibs that are used in keeping track of athletes at checkpoints, the finish line, and also for raffles! 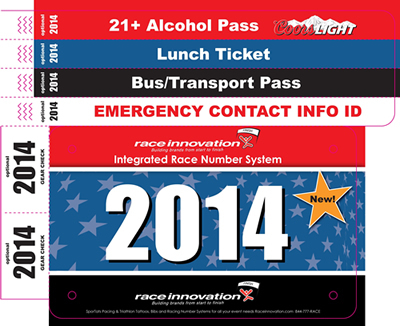 In 2014, we are now offering a fully integrated all in one Wristband and Race Bib to streamline packet pick up. This allows for one point of pick up for each runners and ensures a consistent look between wristband and bib.